Last week we gushed over one of Fall's biggest trends: Color Blocking, and we're not done yet! 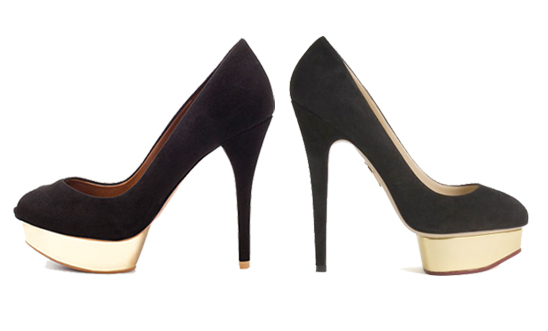 These platform pumps are a more subtle way to incorporate color blocking into your look. Simple and elegant, these shoes will become a staple in your closet. If you're looking to invest in a new pair of stylish pumps for Fall, Charlotte Olympia's rich velvet pumps will surely live up to its price tag! Looking for more of a bargain? Zara's peep-toe pumps have all the glamour at a fraction of the price.